Anyone who has already invested in cryptocurrency has already experienced the rollercoaster ride of this highly volatile marketplace. There are days of elation and there are days of frustration – and, for some – depression and deep sadness. If these things exist, their lives will be shortened in very short order if they do not do something about it. What? Developing an Investors mindset. You put on your bullet-piercing armor that will repel Fear, Doubt, and Uncertainty (FUD) and shield you mentally from going out of your mind when your investment does not perform like you expected. My daily commute to my job into Washington DC on Interstate 95 was a 120-mile roundtrip drive. Both ways you encountered extremely heavy traffic. Anything could cause slow or standstill traffic. An accident, construction, or inclement weather. But what is noteworthy is the impatience many drivers displays (and even road-rage) in slow traffic or in standstill traffic. They think that the guy in front of him is the problem so they try to move ahead of everyone else but does get anywhere. What that driver gets are frustration and anger. It is a very crazy thing. These caffeine-pumped-up drivers are simply impatient. They do not like waiting. They want movement and they want it now. But in the long-run have crazed themselves mentally and because of it, could harm themselves and others. Well, when investing in cryptocurrency, you have to be patient. 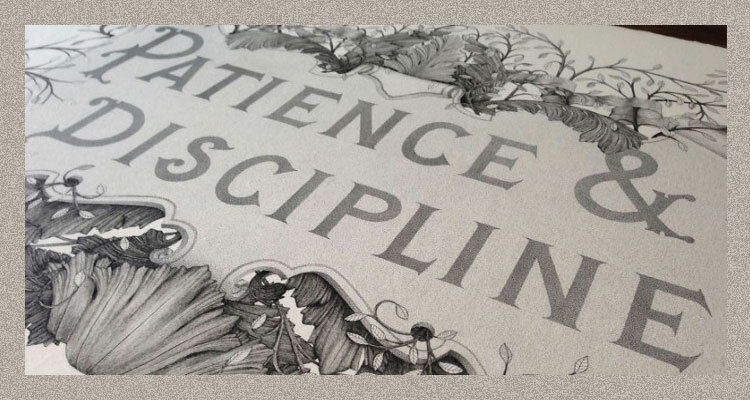 If you have done your due diligence in researching solid coins, that is more than half the battle in conquering your patience. Why? Because you know that well-researched coin has staying power and that it solves a problem. You know that is is a solid long-term hold. You do not care about the ups and downs in the marketplace. You measure what you paid for the coin today and look at what it is valued at a year from now. That takes patience. Tied to patience is discipline. You are a steady ship. You stay on course. You do not are blown in the direction the impatient and undisciplined go at each sign of a windstorm in the market. You stay on course. And, if you are asking them, then you need a large dose of patience and disciple. Previous ArticleWhat Should Be In Your Portfolio? Next Article A Concern. But It Is Mine Only.